Swim-up suites offer direct access to the resort pool. 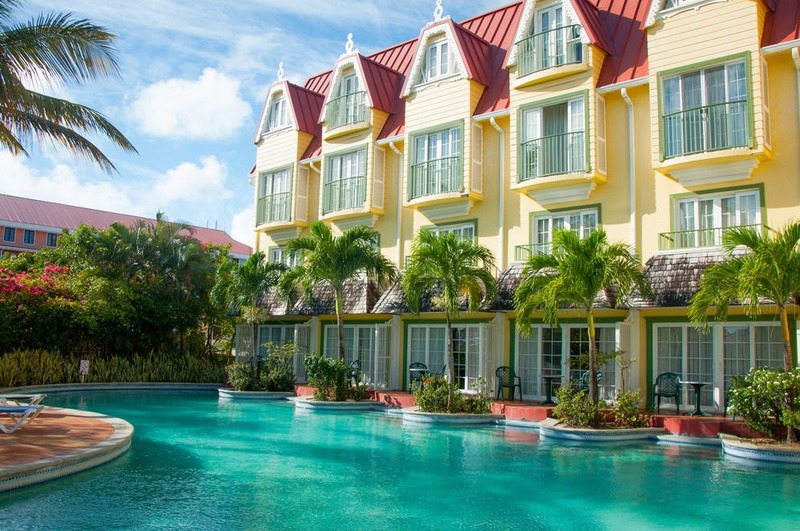 A full-service spa, onsite dining and an outdoor pool is available in this resort in Castries, St. Lucia. Tropical guest rooms include air-conditioning and free Wi-Fi. The resort is located near Rodney Bay Village, with additional dining and shopping. Bright rooms at Coco Palm include a refrigerator and coffee facilities. They feature hardwood or tiled floors with wood furniture. Rooms with a view include a private balcony. Swim-up suites and spacious family suites are available. There are two restaurants located on property, the Koko Cabana Bistro & Bar and the Kreole Grill. In addition to breakfast, lunch, and dinner, Koko Cabana also features poolside snacks, daily happy hour, a Friday-night BBQ, and live entertainment on select nights. All-inclusive packages are available at Coco Palm. The package includes three daily meals, and beverages during bar hours. There are surcharges on some items like steak or shrimp, premium liquor, and room service. Palm Coco offers car rental, airport shuttle and babysitting services. Guests can work out in the gym or enjoy a massage in the guest rooms, the tropical garden or on the roof deck. Fly into Hewanorra International Airport (UVF), St. Lucia. Coco Palm is located about 80 minutes from the airport, and shuttle service can be arranged for a surcharge. Visit Coco Palm’s website for more information.